European explorers of the Pacific in the 18th and early 19th centuries faced a problem – how to describe the people they met and report what they had seen and found. From Cook onwards, a serious expedition included artists and scientists in its ship's company. An ambitious journey of the 19th century was the third voyage of the French explorer Dumont d'Urville, from 1837 to 1840. It was just before the invention of photography, when phrenology, the study of people's skulls, was the latest thing. D'Urville chose to take on the voyage an eminent phrenologist, Pierre-Marie Dumoutier, to preserve likenesses of people by making life casts. When the expedition returned to France, the casts were displayed, and later stored in the Musée de l'Homme in Paris, to be joined eventually by other casts from Dumoutier's collection, including those of the d'Urville and Dumoutier families. All were overtaken by photography and history. Fiona Pardington first learnt of the life casts in 2007, when a chance conversation initiated a four-year project. It took her from Auckland to the Musée de l'Homme, as she researched and photographed some of more than fifty casts of Maori, Pacific and European heads, including casts of her Ngai Tahu ancestors. This book publishes these photographs and coincides with the opening of a major travelling exhibition. The photographs are extraordinarily beautiful, evocative and spiritually powerful images. They recover likenesses and revive the life force of Dumoutier's subjects, eliciting our empathy and fascination with a world we can never really know. This is a rich and engaging book. 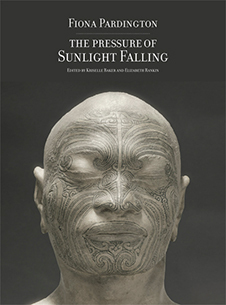 With essays by leading scholars in Pacific history, art and photography, on subjects as diverse as phrenology and cast-making, the voyage, and the identity of the Maori casts, it will appeal to anyone interested in nineteenth-century encounters between voyagers and the peoples of the Pacific, or contemporary art and photography.